Obituary for Kevin Keith Conner | Inman Ward Funeral Home of Tabor City, LLC. 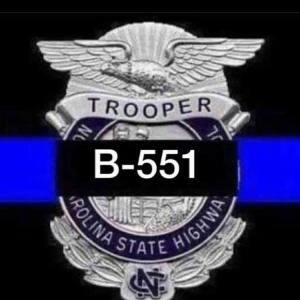 Master Trooper Kevin Keith Conner, age 38, of Clarendon, NC was killed in the line of duty on October 17, 2018. He was a native of Bladenboro, NC. Kevin was a graduate of Bladenboro High School and obtained his Associate in Criminal Justice degree at Bladen Community College. Kevin’s life-long dream came true as he joined the North Carolina Highway Patrol in 2007 as a member of the 119th basic school. He was a jack of all trades and a master of most. Kevin was the owner and operator of K&M Auto Sales, a part-time employee at Canal Woods, and a partner of All Clean Pressure Washing Service. Kevin had a contagious smile, and was loved and revered by many. He was an avid hunter and outdoorsman and lived life to the fullest. Survivors include his wife, Miranda Fowler Conner of the home, 11 year old daughter, Briley Conner, and 5 year old son, Braxson Conner, also of the home, his parents, Glenn and Kay Conner of North Myrtle Beach, SC, his in-laws, Ricky and Melanie Fowler, a beloved brother-in-law, Dustin Fowler (Nicole, Ella, and Emmi), a sister-in-law, Mikayla Fowler, and a beloved fur baby lab, Drake. He was preceded in death by maternal grandparents, Henry Clyde and Pearl McLean, and paternal grandparents, Roy and Josephine (Kitten) Conner. The family will receive friends Sunday, October 21, 2018 from 1:00-3:45 p.m. at South Columbus High School in Tabor City, NC. Funeral services will be held following visitation at 4:00 p.m. at South Columbus High School. Interment will immediately follow at Fowler-Stanley Cemetery in Mollie, NC.